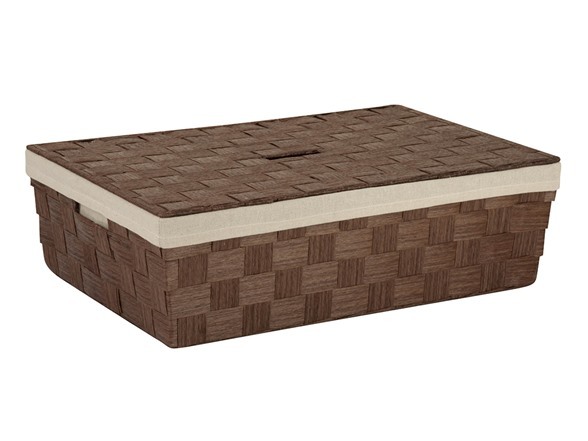 Honey-Can-Do STO-03733 Paper Rope Large Basket with Liner, Brown. 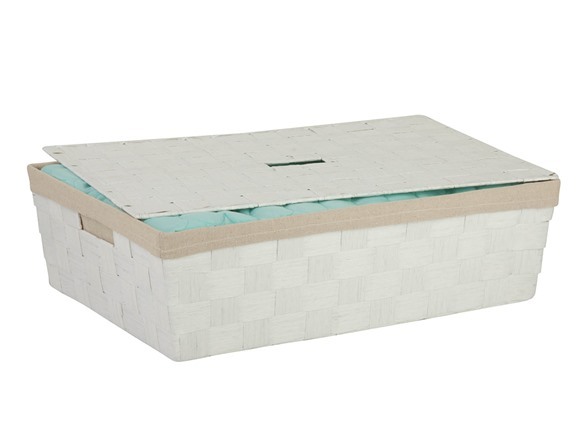 Keep clutter at bay with our large paper rope basket with liner. The recycled and repurposed parchment is formed into strap-like fibers, making the basket durable and eco-friendly. The wire frame adds to its strength, and the built-in carrying handles make it easy to transport. 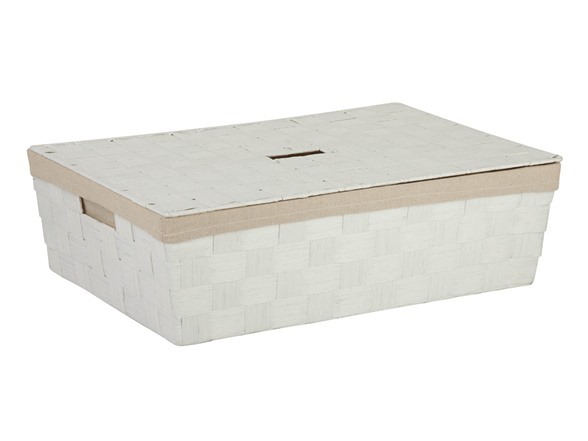 Measuring 23.5" L x 15.75" W x 6.5" H, this basket provides endless storage options for any room of the house and its neutral color matches any decor. The tan liner adds a pop of color in an earthy tone. 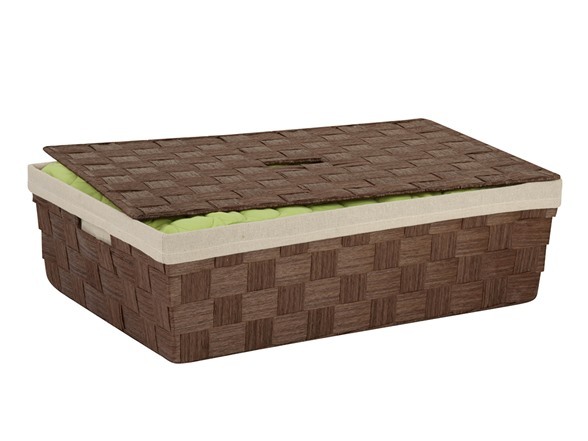 Includes removable lid with cut-out handle. Coordinates with other paper rope products from Honey-Can-Do.